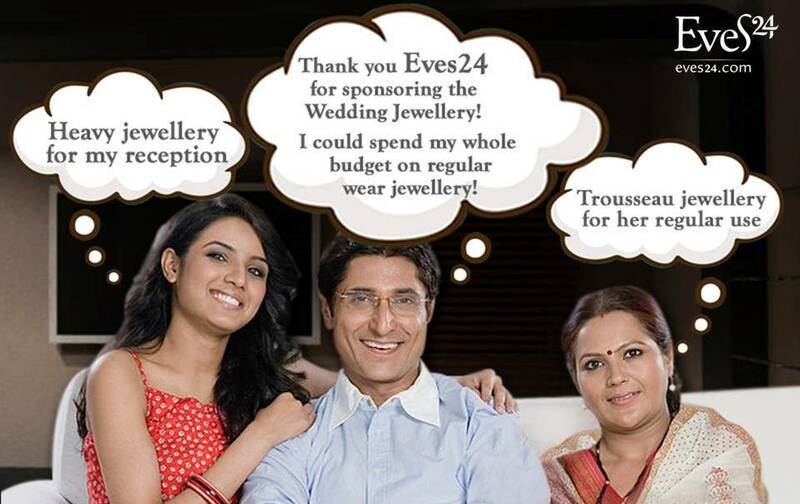 Eves24: Buying Diamond Jewellery? Take it Easy..
Buying Diamond Jewellery? Take it Easy..
India has been one of the biggest consumers of jewellery in the world. Since years, Gold and other forms of jewellery have been considered heirlooms and investments. Buying jewellery has been a prestigious, family affair where every member has a say, on the kind of jewellery, the design to the price and budget. The purchases were traditionally made at the “trusted family jeweller”, no questions asked about the quality of gold and diamonds used in the jewellery bought. But now, with the power of internet and information being available with a simple Google search, you can easily acquire insights on the different aspects of jewellery and its quality. Jewellery Certification has made purchase more transparent and easy. With the quality & trust aspect taken care of, you are more comfortable making a jewellery purchase from a reputed source independently. However, whether you shop at your family jeweller, a big brand outlet or at Eves24, it is important to know “what” you are buying. We ll be your guide & hand-hold you to show how you can buy Diamond Jewellery easily, confidently & most importantly, cost-effectively. You need to know the purity of Gold (18 or 22 karat etc. 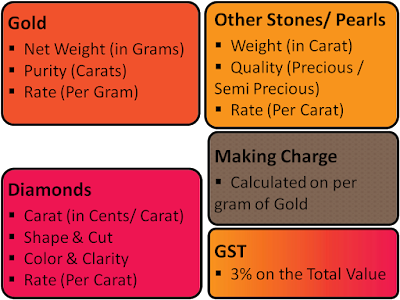 ), gold weight (in grams) and the applied rate (per gram) of the gold for the said purity, to determine the price of gold in the Jewellery piece. Do ensure the weight of the gold is net weight after reduction of weight of other stones, if any. Read our article About Gold to learn about the Gold and its pricing. There is a universal grading system to judge the quality of a Diamond. 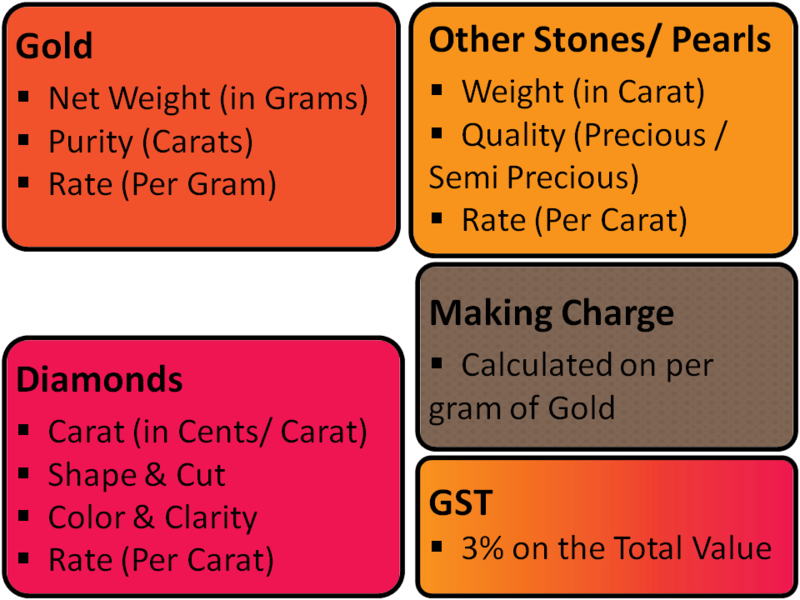 The Carat (weight), Cut, Color & Clarity determine the overall quality. In addition, the shape & the size also influence the final price you pay. Read more here to get a complete insight on what you should check while buying Diamonds. These are generally a small portion of the overall cost of Jewellery piece. It is important to note that the stones, other than diamonds, are added to enhance the design. Generally, semi precious big stones are used unless you ask the jeweller for the precious stones, which of course will be much more pricier. 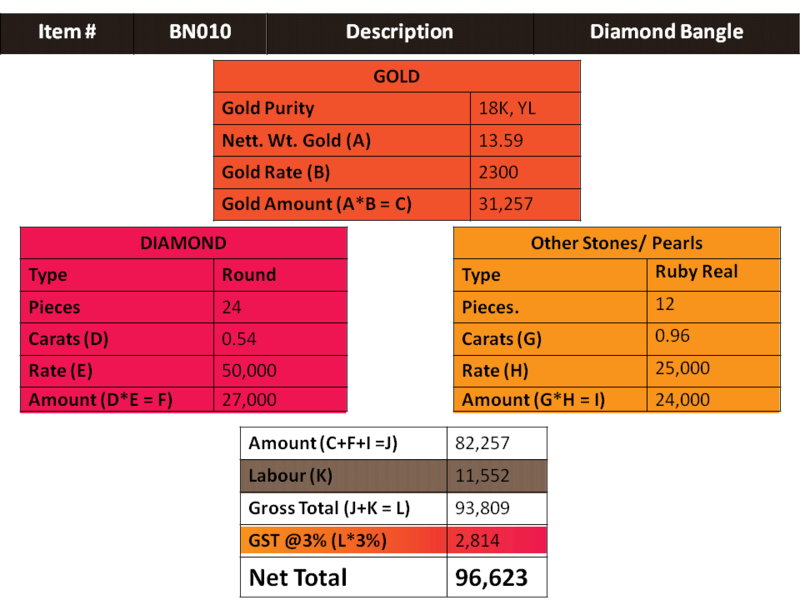 Do confirm before purchase if the stones / pearls are Precious / Semi-precious. The price of the Stone is dependant upon the weight (Carat), Quality (precious/ semi precious) and the corresponding rate charged. Making charges refers to the charges for crafting a piece of jewellery. Generally, Jewellers calculate making charges as a rate on per gram of gold. Currently, GST is 3% on the total value of the Jewellery. 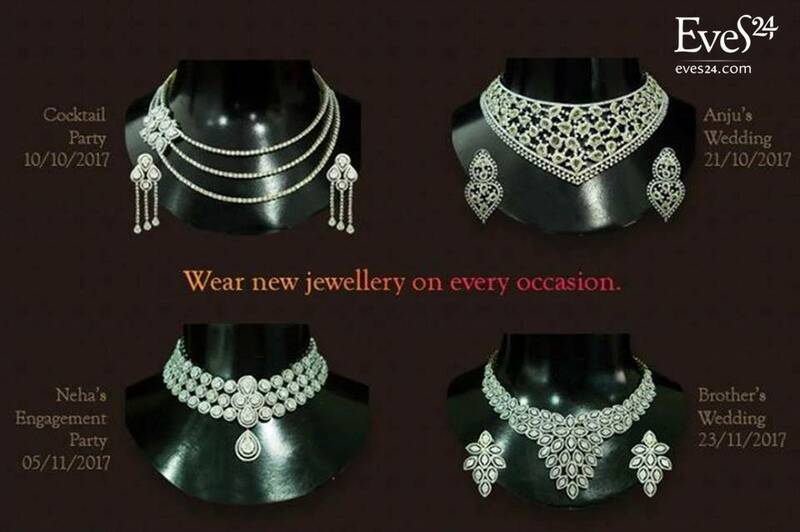 PS: We highly recommend paying the nominal 3% GST & obtaining a GST-Invoice from the jeweller. 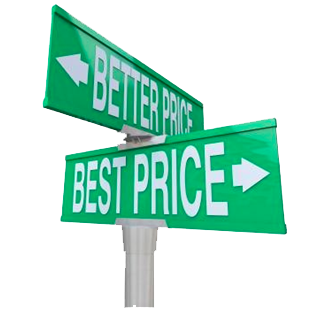 The advantages far outweigh whatever little would be saved when an invoice is not taken. You have a valid proof of purchase that shall also be helpful in case of any exchange / buy-back requirement in future. As you can see in the screenshot below, all cost components are defined & the final jewellery price is arrived at. You should always insist on a cost break up sheet from your Jeweller. Download a sample cost breakup sheet here. A certification creates a “spec sheet” for the diamond jewellery, almost similar to a feature list of a smartphone. This makes jewellery purchase easier while boosting confidence for the uninitiated. You no longer need the “johri ki nazar” to know your diamond jewellery. The certificate provides full detail of all gemstones & diamonds in the jewellery, including quantity and total carat weight, measurements, shape, cut, finish, proportions, clarity and color. IGI, GIA etc. are some of the well known certifying labs for diamonds worldwide. Read hereto know more about Diamond Jewellery Certification. The IGI certification gives diamond jewellery buyers the most valuable “C’s” of all. CONFIDENCE. The confidence to buy diamond jewellery without having to lose sleep worrying about being short-handed. IGI is one of the world’s most reputed labs in Diamond Jewellery certification. Visit this & learn about IGI Jewellery Certification in detail. While making a purchase, ensure that the invoice mentions the clear terms of exchange and buy back policy. This enables a smooth buy back process, without any dispute whatsoever. Do ensure, the exchange policy is clearly mentioned too, just in case you would like to swap your purchase with other jewellery in future. DO NOT accept just a verbal commitment, in any case. Indulge in Jewellery, the SMART way. The Eves24 way. 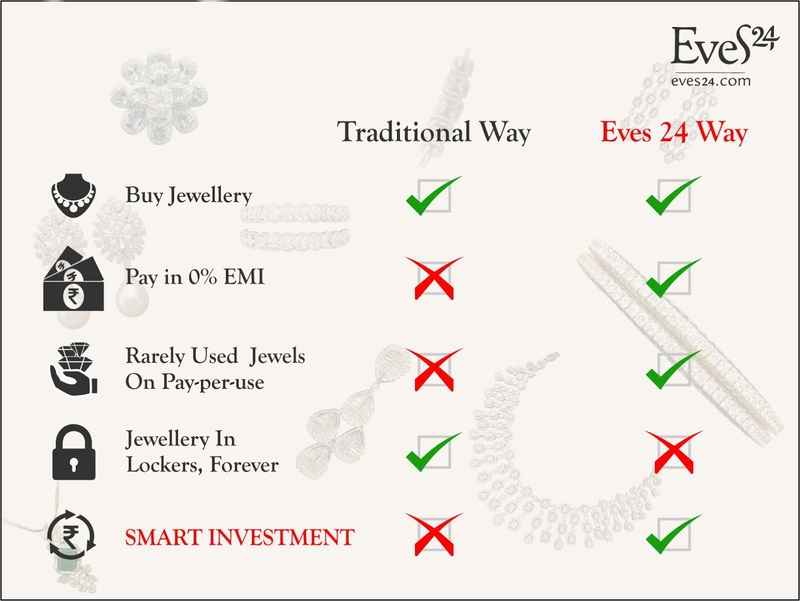 At Eves24 we offer smart ways to indulge in Unlimited Jewellery of your choice without having to worry about the price and budgets. We strongly believe that Jewellery are for adornment and NOT FOR LOCKERS. If you are a to-be-bride, who is not willing to compromise on her jewellery choices but is restricted by a budget then the Eves24 Bridal Benefit service is perfect for you. Bridal Benefit allows you to spend your entire budget on trousseau jewellery while Eves24 sponsors your wedding jewellery of the same cost, on a one-time-use basis. So, you can enjoy the best of both worlds, in the budget of one. Eves24 Jewel Library service grants you access to a large collection of trendy jewellery that you can indulge in on a pay-per-use basis. The Club Membership from Eves24 is yet another smart, niche offering. Club Membership allows you to invest your hard-earned money and enjoy returns on the same while you enjoy an unlimited jewellery wardrobe of both heavy & regular wear jewellery. Apart from the technical and financial aspects of jewellery, there is also the question of buying jewellery that suits your body and face type, skin color, skin tone & overall features. You should look the best on your D-Day & everything that you adorn should complement your glamour. Consider taking professional help for your jewellery purchase. Image makeover experts like Rashida Kapadia can help you decide the right kind of jewellery. With their vast professional experience, they can help in achieving an overall perfect look. We hope our little effort gives you the confidence to buy your diamond jewellery. Isn't buying diamond jewellery a piece of cake?! Hope to see you soon at our Bandra or Andheri Studio.